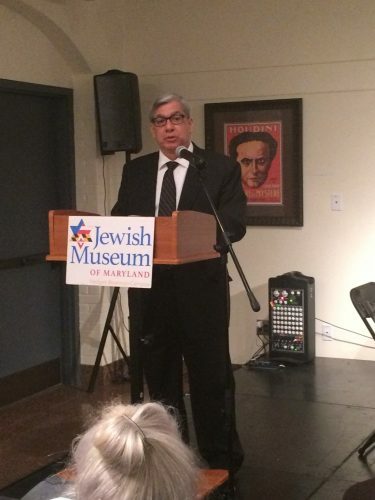 Last night the Jewish Museum of Maryland played host to the 91st Official Houdini Séance. It was definitely an evening to remember. 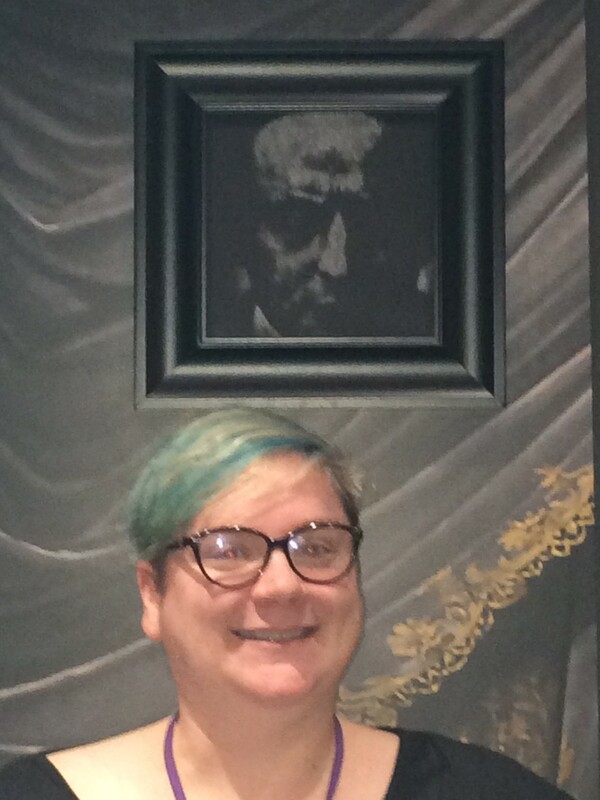 In case you weren’t able to join us (or follow along with our live tweeting of the event, #HoudiniSéance2018), I thought I’d share a little of the experience with you – this was my first séance and I didn’t know what to expect! “Harry Houdini died at Grace Hospital in Detroit on Halloween 1926 from complications of acute appendicitis. He had told his wife, Bessie Houdini—and close friend, confidant and mentalist Joe Dunninger—that if he died, he would make every effort to communicate with the living and established a secret code to guarantee proof if indeed he was successful. Every year since his death, an official séance was held to see if he could come across the veil and prove the spiritual afterlife existed. 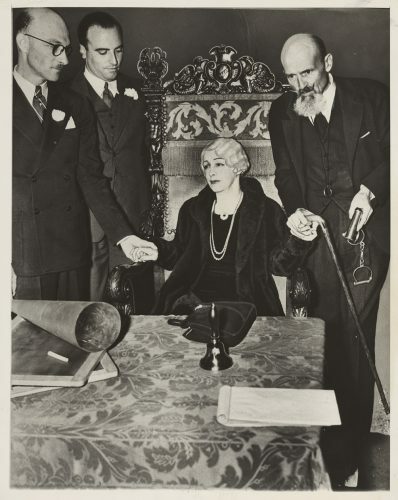 Final Houdini séance in 1936. Courtesy of the Library of Congress. The evening began with food, drinks (including one of our signature “magical” cocktails, mixed and served by yours truly! 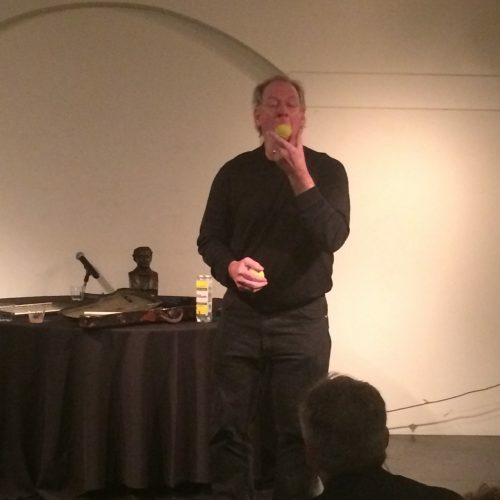 ), and a pair of roving magicians who demonstrated a variety of card tricks and rope escapes for members of the audience. My favorite part of the evening was the presentations by our Houdini experts! 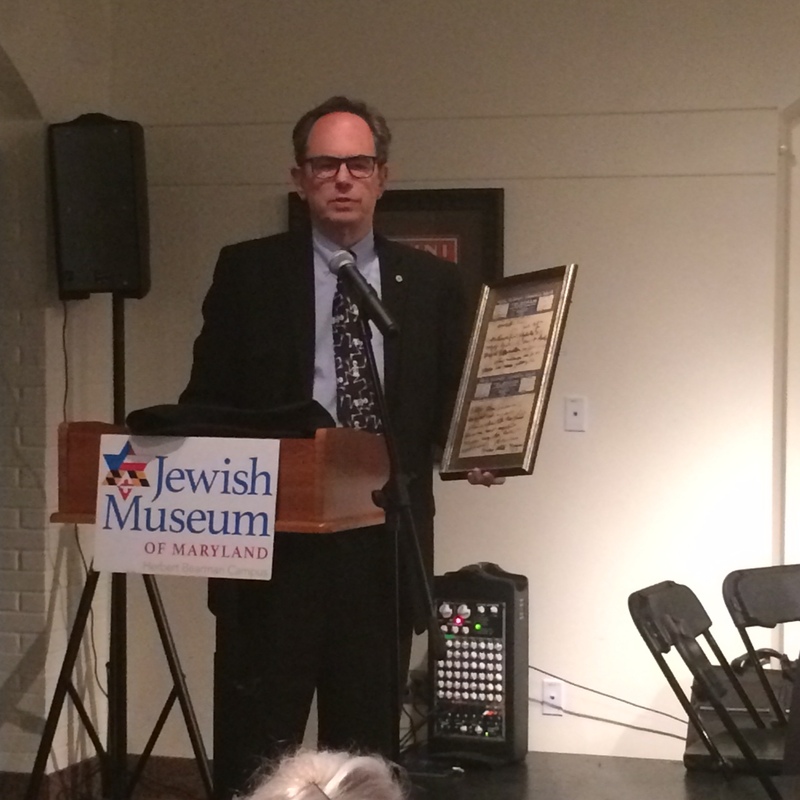 Here, Houdini collector Ken Trombley shows off a piece from his collection – a 1925 telegram to the Associated Press debunking a slate-writing medium. 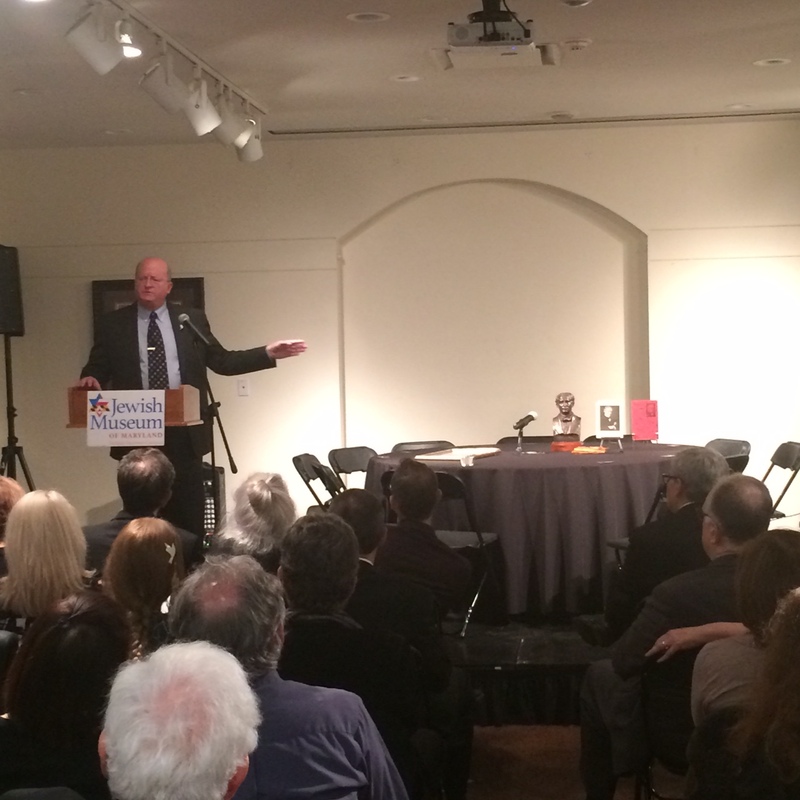 “Can the living speak to the dead?” Collector Arthur Moses shares about Houdini’s deep desire to contact loved ones on the other side, referencing a pair of programs produced by Houdini. Both Ken and Arthur emphasized that while Houdini sincerely hoped to speak with those who had passed on, he was equally fierce in debunking those he felt were preying on the grieving and naïve. Houdini in Handcuffs: expert Fred Pittella’s interest was born from reading “The Man Who Walked Through Walls.” In the age before internet, researching Houdini and handcuffs involved a lot of foot work – Fred found many of the pieces he used to learn about handcuffs and locking mechanisms hunting through flea markets and thrift stores. He shared that Houdini’s handcuffs (and handcuffs of the time in general) were more massive and complicated than those in use today! As part of his “challenges,” Houdini asked to keep any handcuffs he escaped from! This allowed him to build up a large collection for both study and use in his performances. He also created his own sets of handcuffs for his challenges – 5 different ones in fact, including a “Russian” handcuff, a “Hungarian” handcuff, and the most famous “Mirror” handcuff. His worst nightmare, losing the title of King of Handcuffs, loomed large when was presented with a pair of doctored handcuffs – they had been stuffed with buckshot, rendering the locking mechanism unusable. 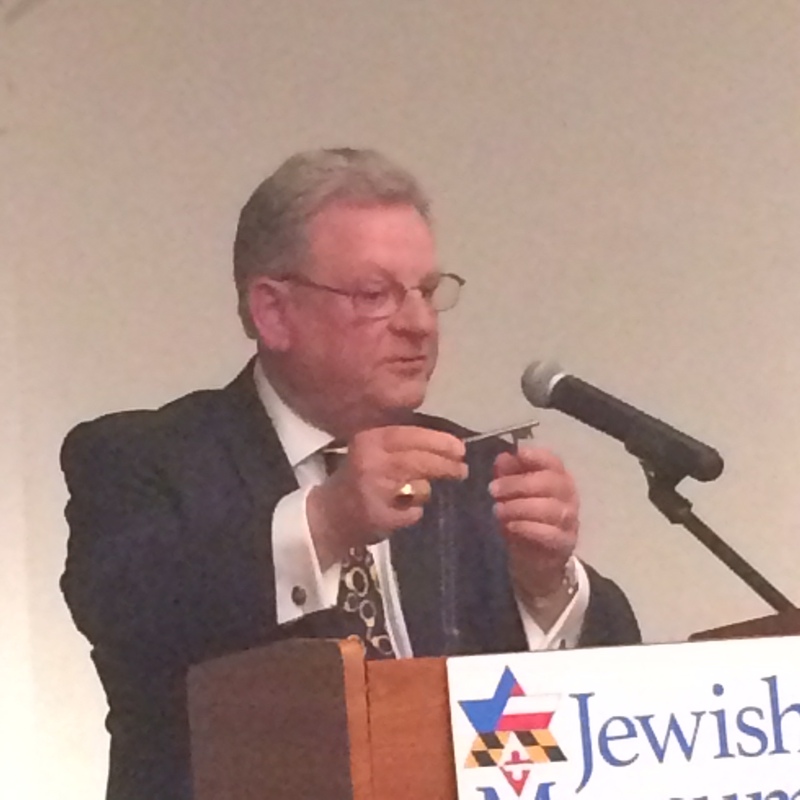 The handcuffs could be closed, but could not be opened, even with the key. Why is the Séance held on Halloween? It’s the day Houdini died. 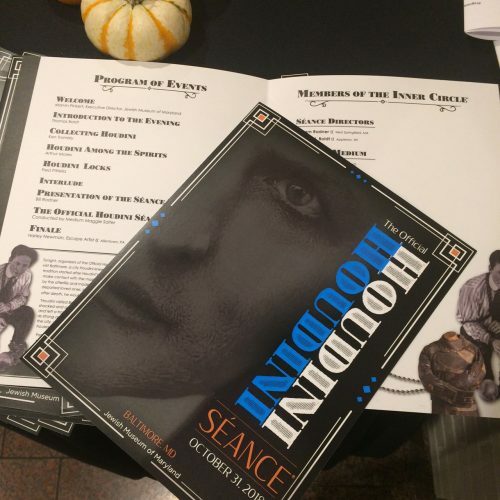 Bill Radner, séance director, told us that Houdini was not expected to survive that long by medical professionals, but he held out because he wanted to make it to the 31st. 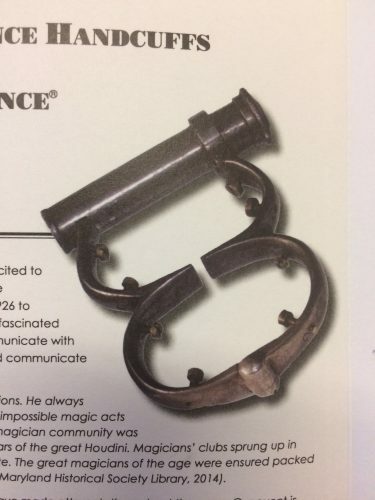 Bill also presented about the official “Séance Handcuffs.” To have a real séance, you need to have an item from the person you are trying to contact. This pair of handcuffs was used at the first séance in 1948 – Houdini said he would open them from beyond the grave. These handcuffs were considered “unpickable” and are unlike any handcuff you’ll see today – they are the “mirror” design. 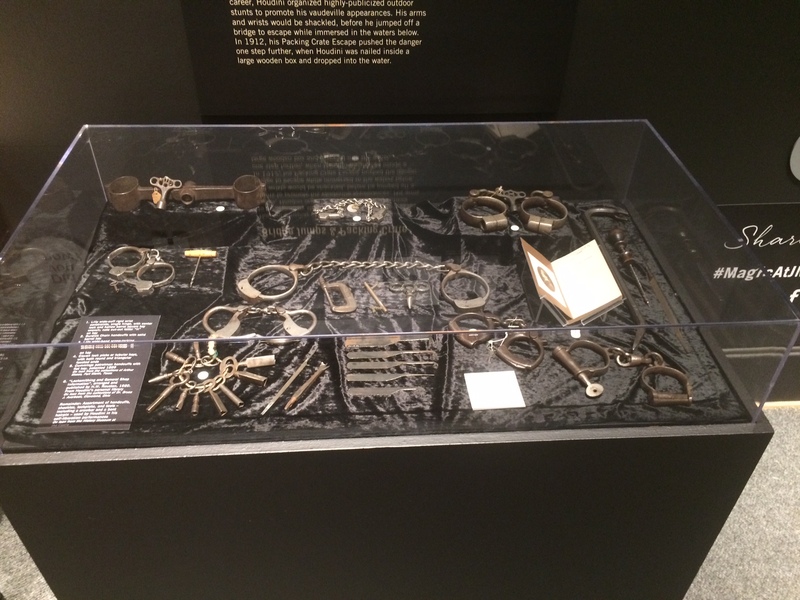 The above is a photo of the actual “Séance Handcuffs” used in the séance, but we have a fantastic selection of other handcuffs, keys, lock picks, and other escape tools used by Houdini on display in Inescapable: The Life and Legacy of Harry Houdini. But one of the coolest items shared this evening might be Houdini’s adjustable key! He made molds of the keys for challenge cuffs and use this adjustable key to match it. This object, shared by Bill, is the only known adjustable key used by Houdini. 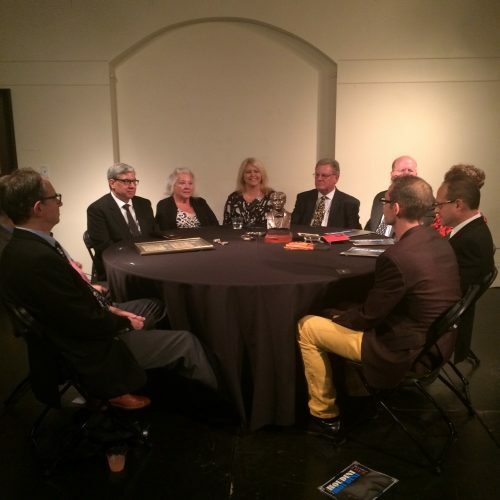 Finally, the “Inner Circle” (those serving as participants in the séance) and the medium took their seats around the table. We were lucky enough to be joined by Debbie Hardeen, Houdini’s own great-grandniece – this was her first time participating in the Official Houdini Séance! Alas, Houdini did not make contact with us this year, but we did have fun trying. And no night dedicated to Houdini can end without some seriously magical entertainment! Harley Newman, escape artist, performed a lively act to close out the night. 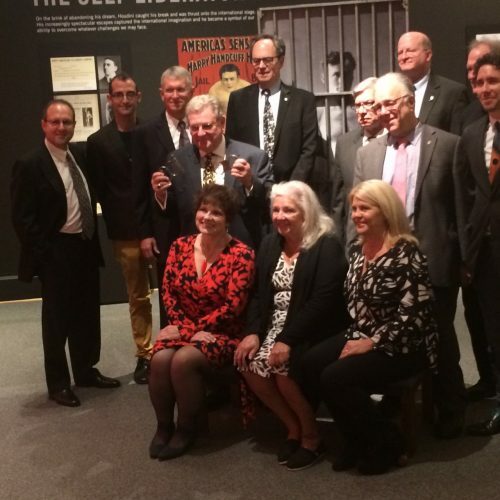 We were thrilled to host this fantastic group of Houdini experts and enthusiasts – here we’ve got the whole crew posed inside our Inescapable exhibit. Good luck next year! I, Harry, and the JMM hope you all had a wonderful Halloween and come visit us soon. ← Houdini’s Magical Halloween Family Day: Making Memories!